Looking to revamp your living room decor? 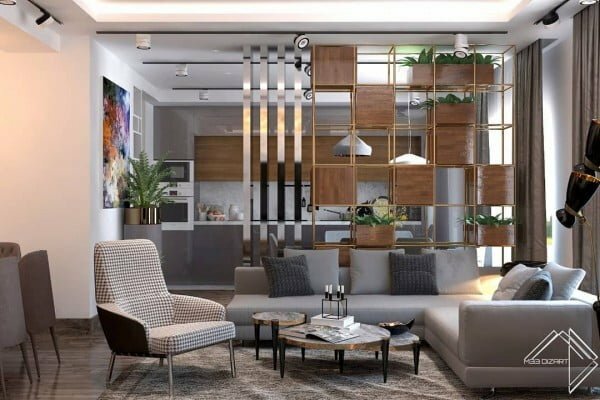 Here are 45 cozy modern living room ideas that you can do on a budget in 2019. 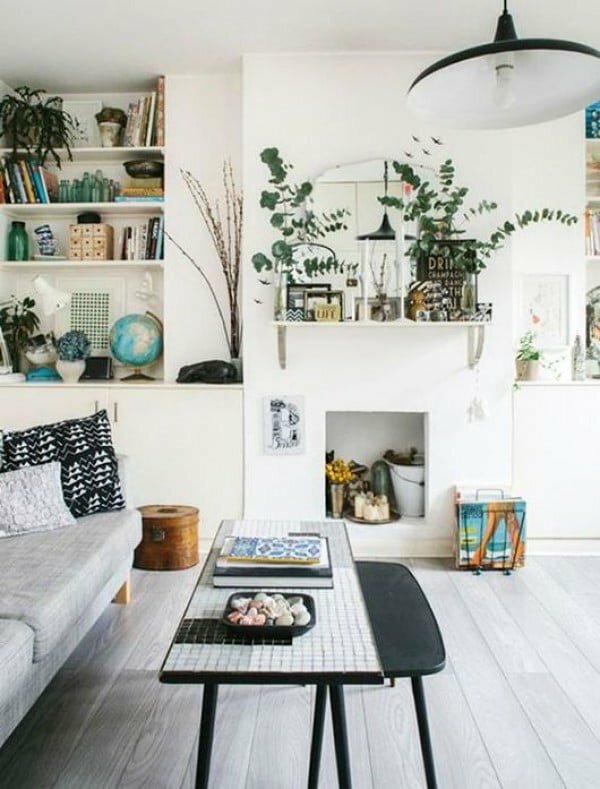 We’ve all seen those fantastic modern living rooms on Instagram and Pinterest. The most impressive of them are of course made by celebrity home designers and influencers of the industry. But some designs look just as amazing, and they are made by people like you and me. These are the ideas that you can easily repeat at home even on a budget. 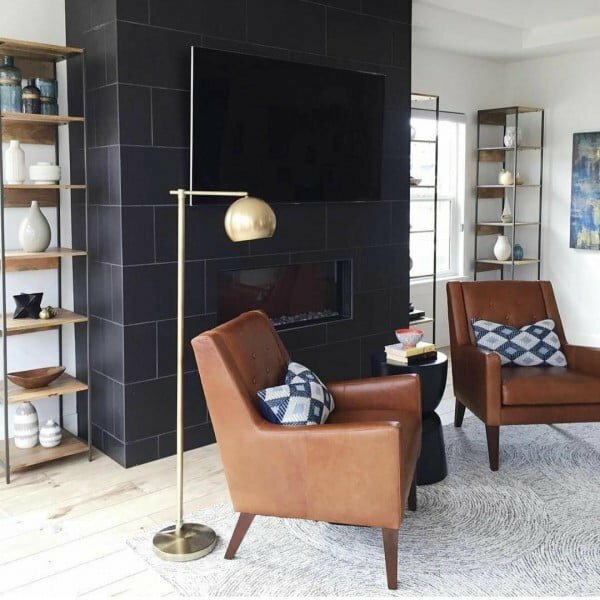 It is easy to make any living room a modern living room by following some simple design strategies. The changes you make can be big or small depending on your budget and your commitment to redecorating. All you have to do is find and make use of the ideas that best suit your style and budget. We have 45 creative ideas for you to get started. The list is updated for 2019. Emerald is a classic color that is making a fashionable impact. It is a favorite pop color for today’s decorators. While it is a pop, it is also an unexpected neutral color. 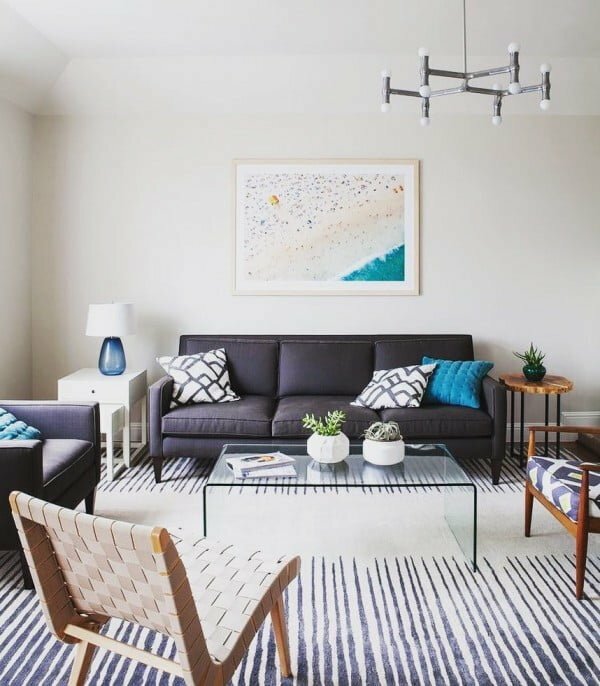 Using pillows, throw rugs, and curtains that feature geometric patterns is an easy way to update and modernize virtually any style of decor. You do not have to be sparse to represent the modern minimalist style. Instead, choose furnishings and accents that use minimalist designs. The look will translate without limiting your furnishings. Update your living room simply by updating your mantle. Design a new surround with large subway tile. 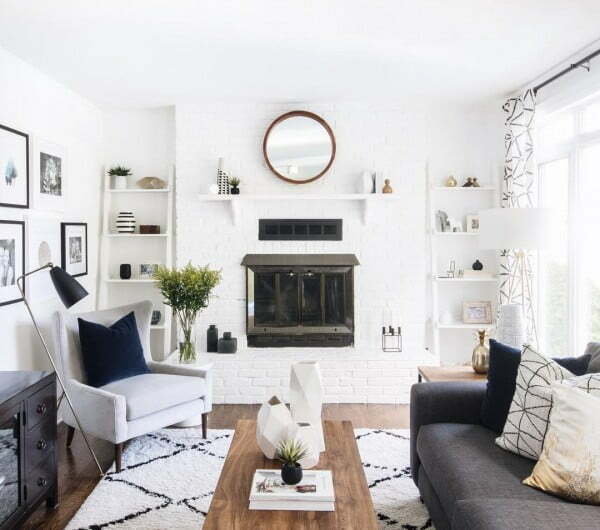 Transform that traditional hearth by eliminating the shelf. This is the modern equivalent of the traditional parquet flooring. It gives a modern geometric pattern feel while using traditional materials. It utilizes a conventional material in a modern way. Update any decor by making modern lighting the star. Choose unique lighting that makes a statement. 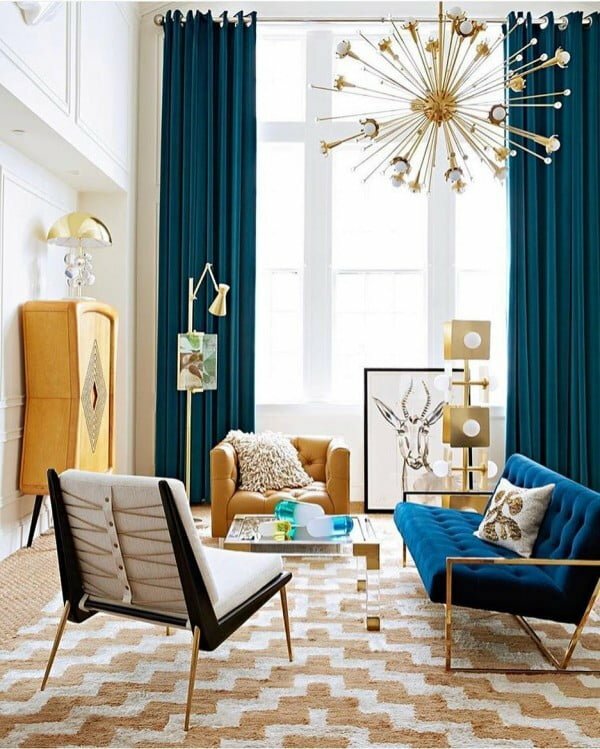 Feature the lighting in key places like the center of the room and next to chairs or on end tables. Items usually reserved for decks sometimes deserve more attention. 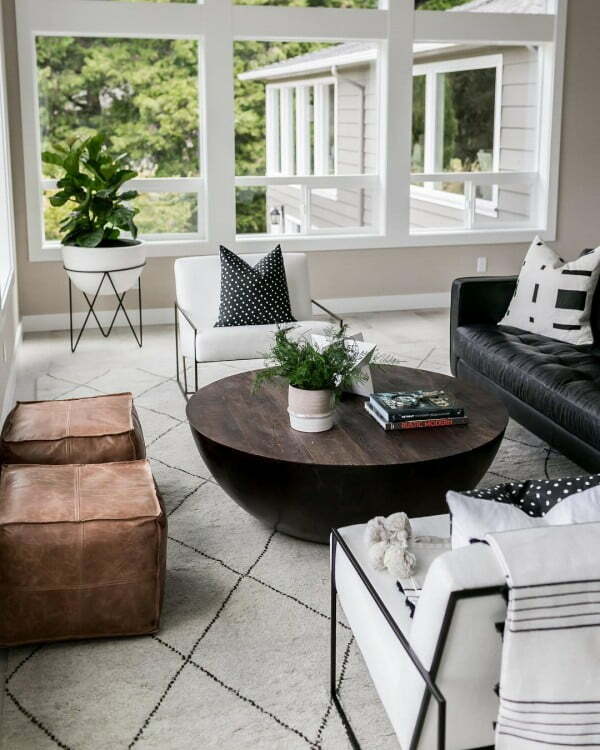 Bring outdoor elements inside to create an unexpected and unorthodox edge to your decor. It is common to see dark flooring, but a modernized twist is white or very light colored flooring. 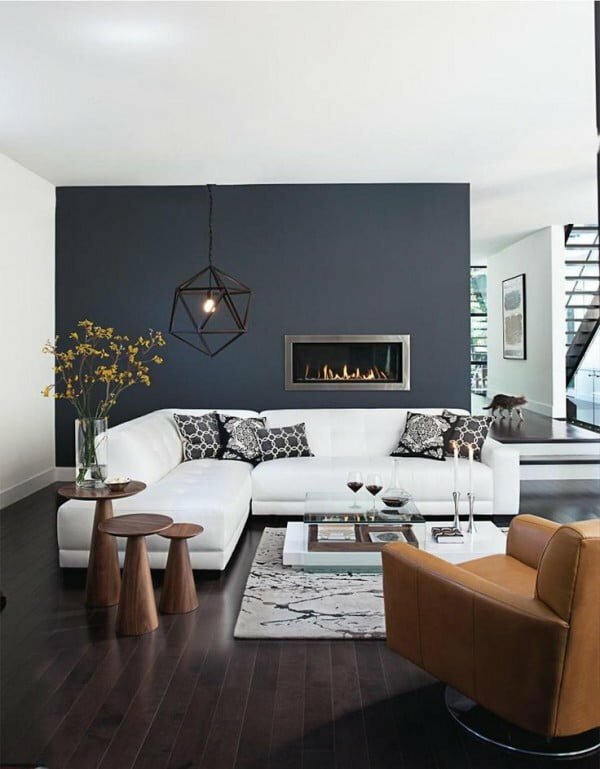 Pair the bright floors with darker colored walls to maintain balance. It is more than a movie. 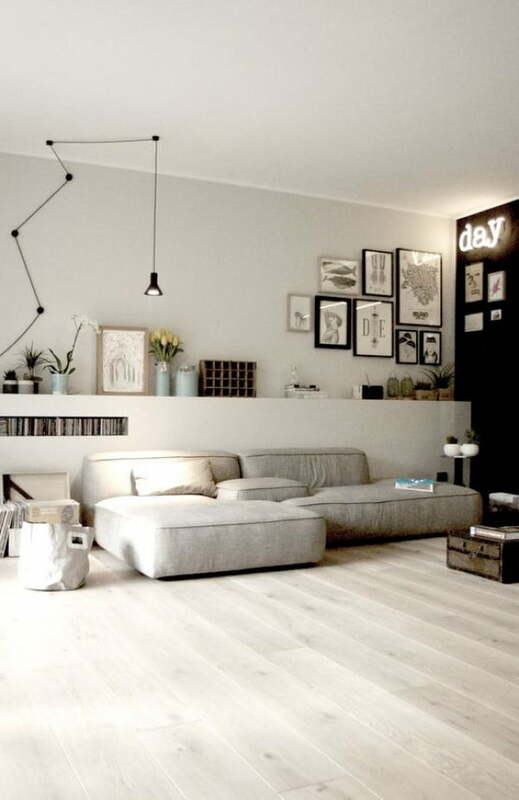 Decorating in coordinating shades of grey is a terrific way to add a modern feel to any architecture or furnishings. Grey is the chosen modern neutral. The botanical look is in. 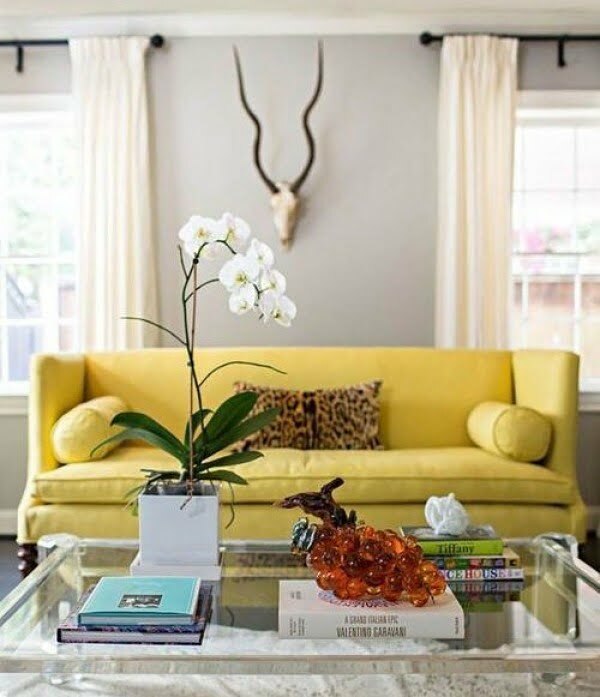 Update any decor with bold natural accessories. The unexpected elements create an air of whimsy in the most formal of settings. 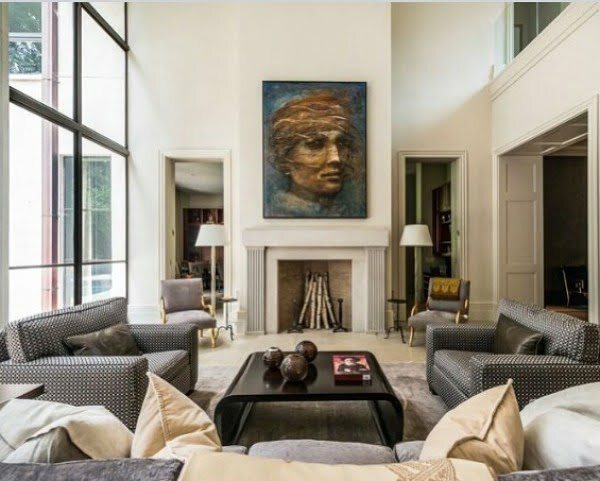 Large paintings or sculptures create a dramatic theme for a living room. It is a modernized way to incorporate fine art into your home. Play with textures, shapes, and design with your furnishes and accessories. 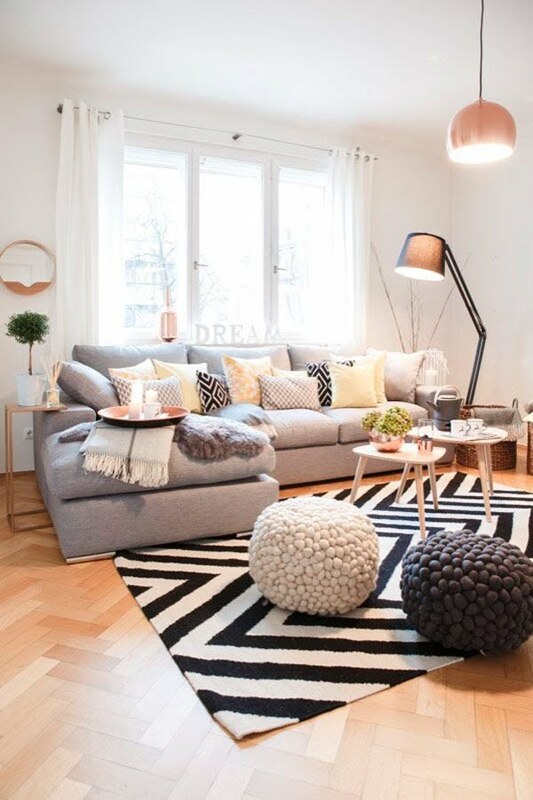 Mix and match them all while maintaining a neutral color scheme. Box plaid or checks are a modern play on classic plaid. Box plaid accents bring a welcome contradiction to solid colors while staying minimal. The future looks bright and so should your living room. 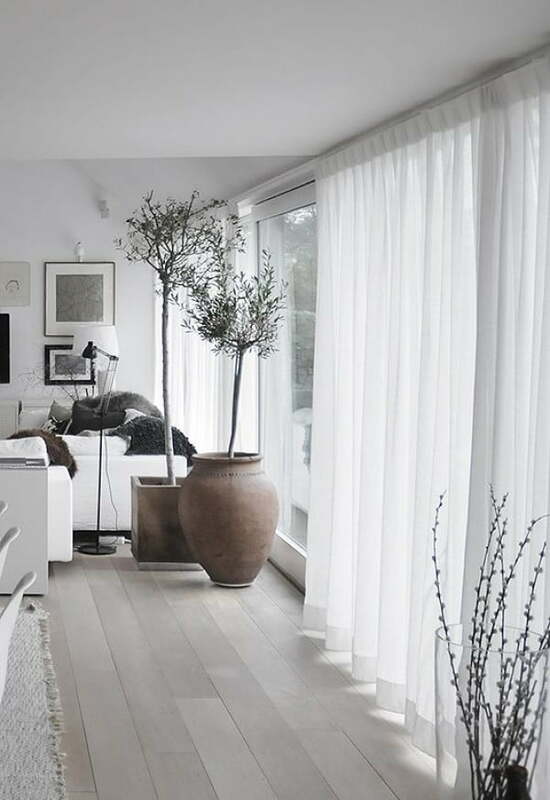 Maximize natural light by using light colored walls and window treatments. 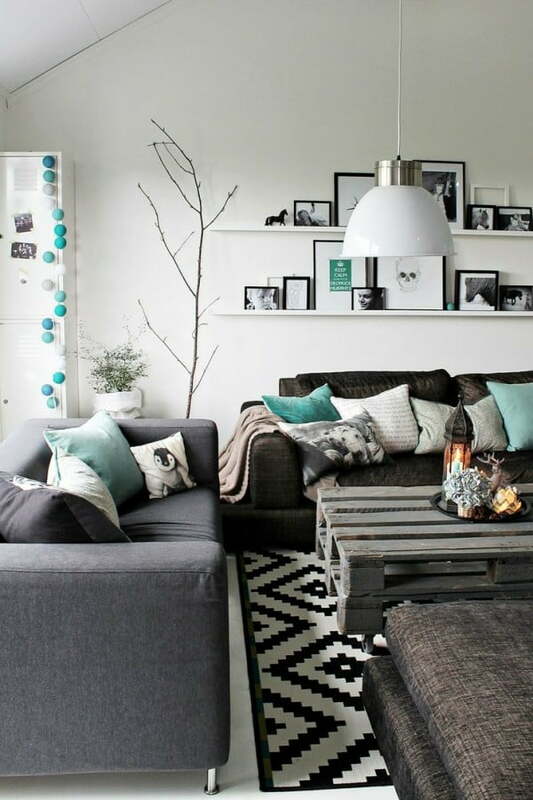 Add cozy pillows, throw blankets, and rugs to soften the hard edge of current and fashionable designs. 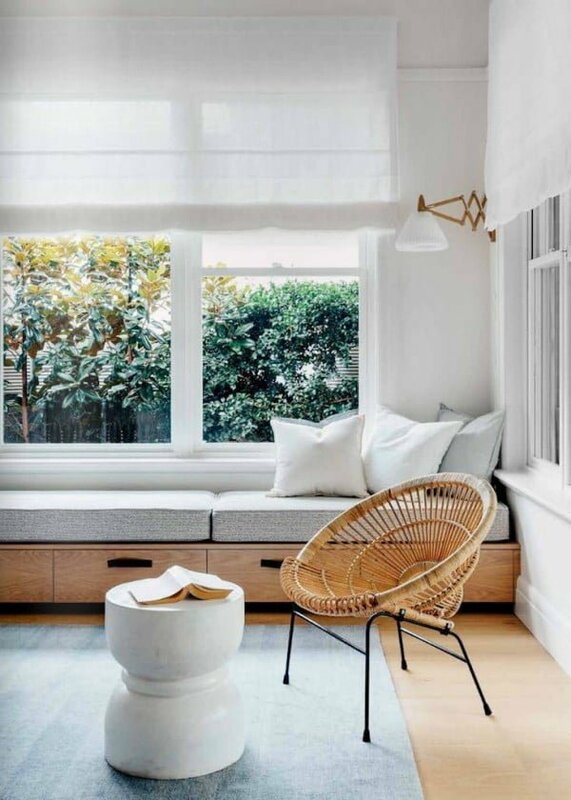 It adds warmth to minimalistic interiors without cluttering the space. It is not only shades of grey you should consider. 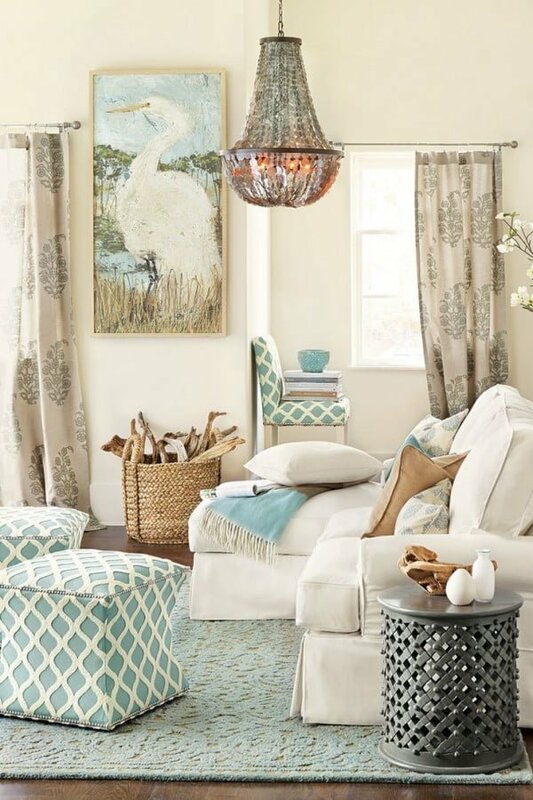 Coordinating shades of blue modernize a neutral pallet. There are a wide variety of blues from which to choose. Get creative with your art. 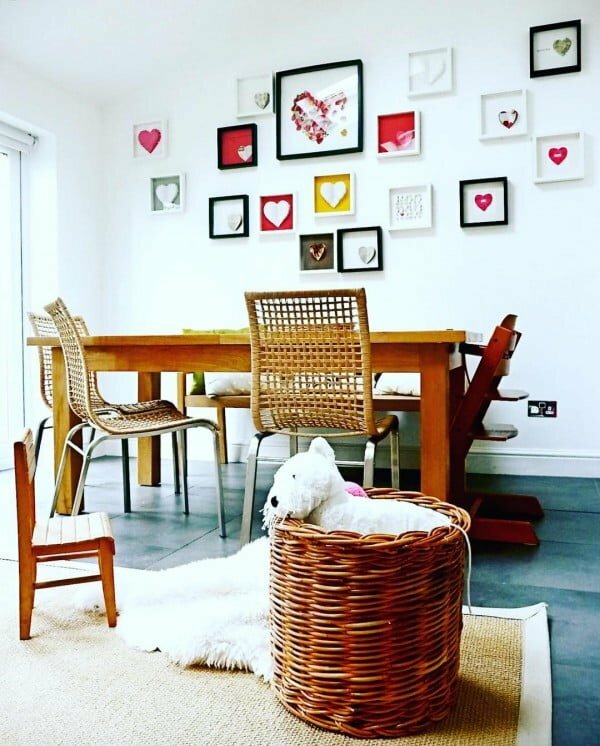 Consider placing several pieces of smaller wall art in a collage formation to create an entire art installation. Decide on a theme to make it cohesive. 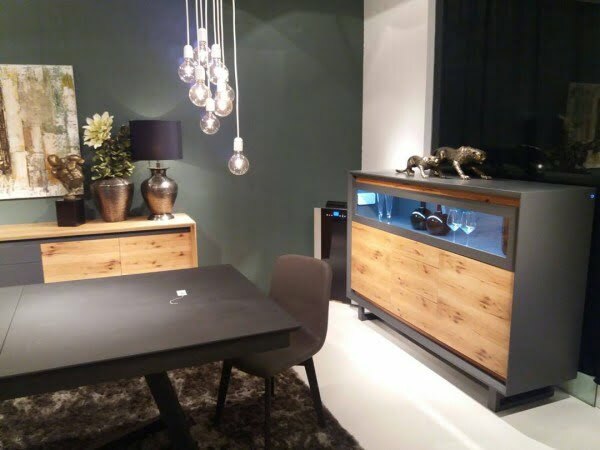 Transparent acrylic or glass furniture is perfect in small places, and it allows you to create a very modern look. It’s very neutral and will enable you to experiment with different kinds of accents. Mirror accents and mirrors update your decor. Use mirrors on your walls as well as mirrored glass tables, frames, and lamps. Limit the number of your mirrored accessories, so they have the most impact possible. Utilize brights on a neutral color pallet. 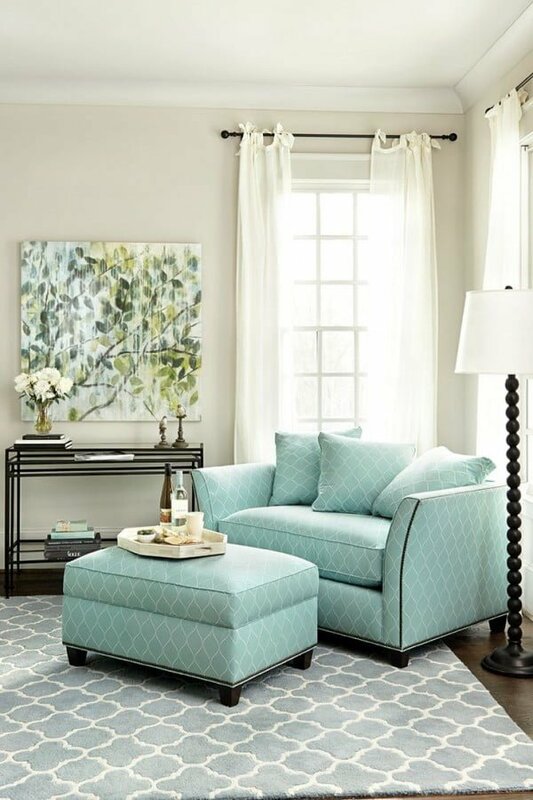 Amped up variations of classic colors like avocado, citron, and robin’s egg blue gives an updated twist to classic decor. Mixing the brights with neutral colors will prevent them from overwhelming the space. 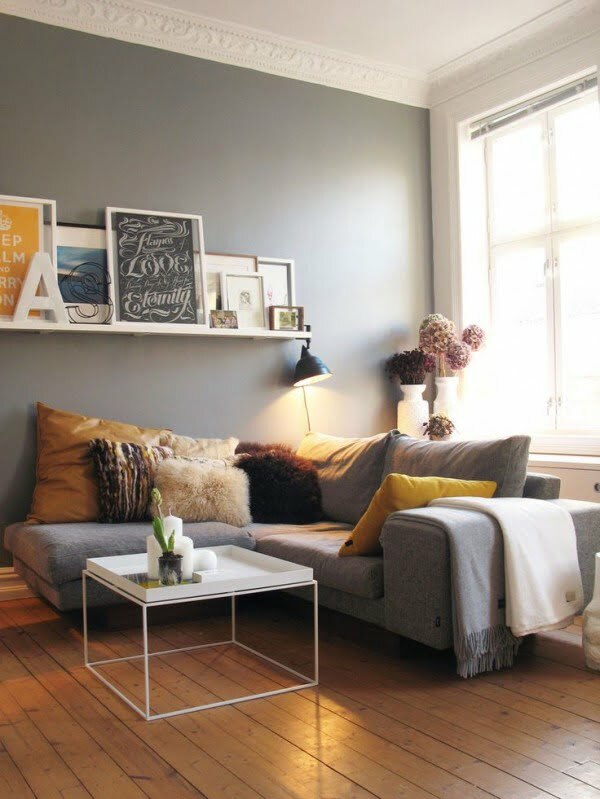 You’ll notice a common theme among all of these living rooms designs, and that’s a warm color scheme with dominant soft grey hues. 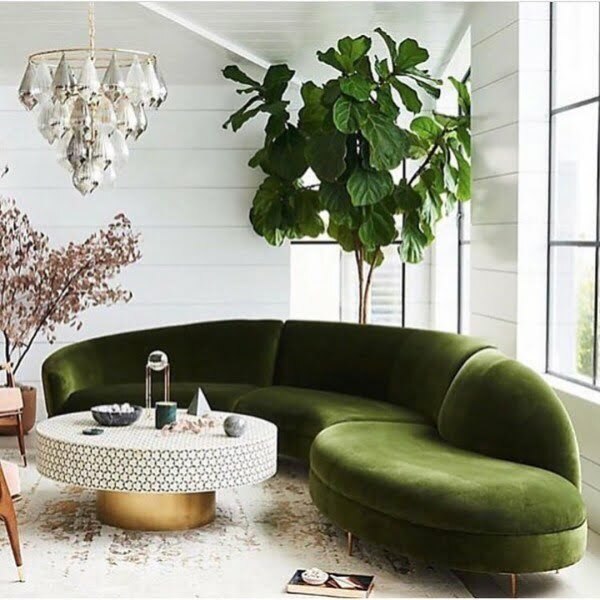 Such a palette is at the heart of this room decor, with only the houseplants adding subtle pops of color. Another reoccurring theme is combining different materials, such these wooden stools and a leather chair. Using materials is another subtle way to add color to a neutral palette. 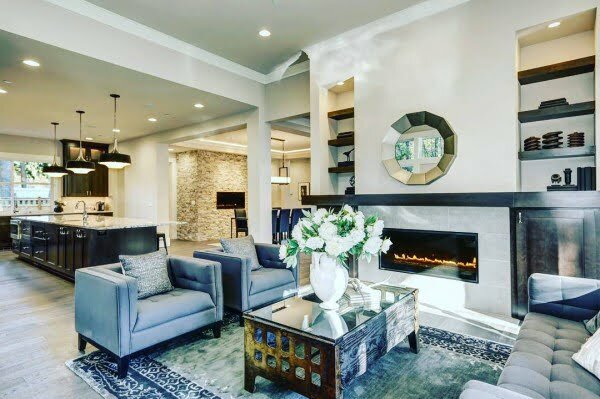 Metallic lighting fixtures, vases, and trays are used as accents in this overall neutral design. The patterned rug and accent pillows anchor the room. 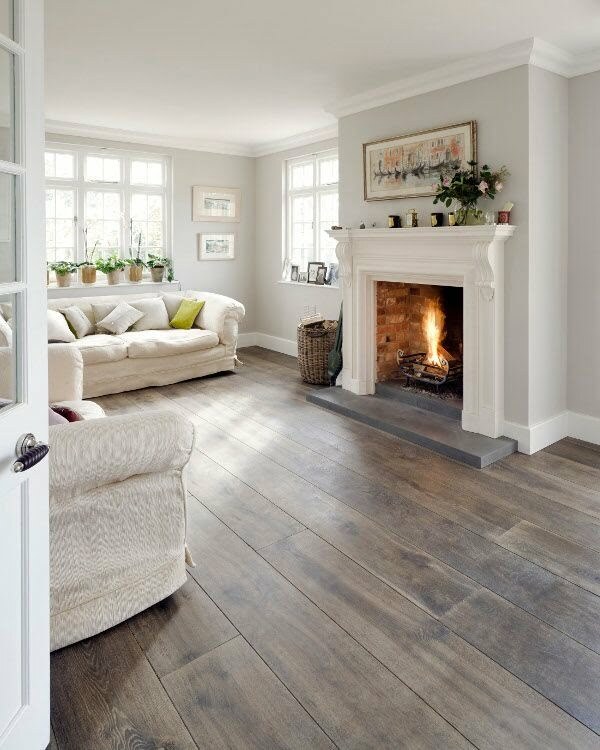 The same soft grey hues can be used in any style as in this traditional classic room. The washed out grey hardwood floor is another feature that we’ll see more of later. 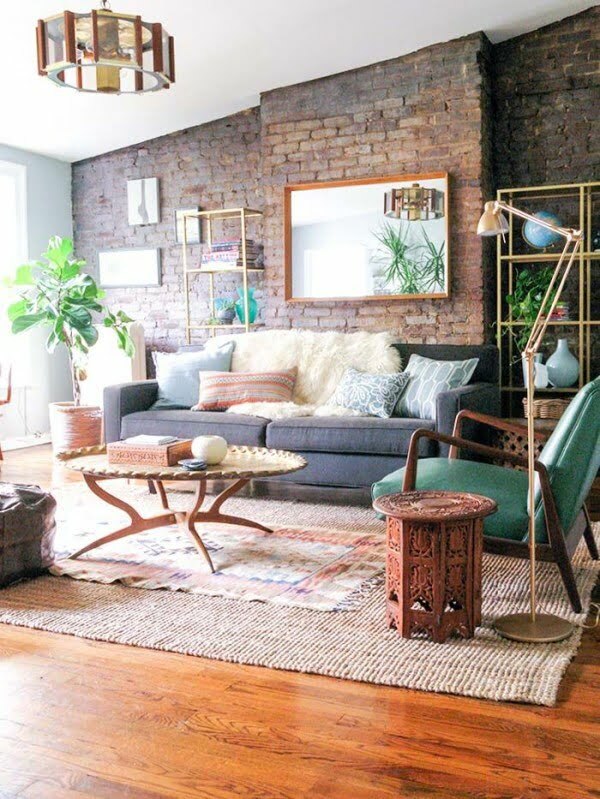 Brick walls are still used as a decor feature, and they go well with metallic accents such as lighting fixtures and storage units. 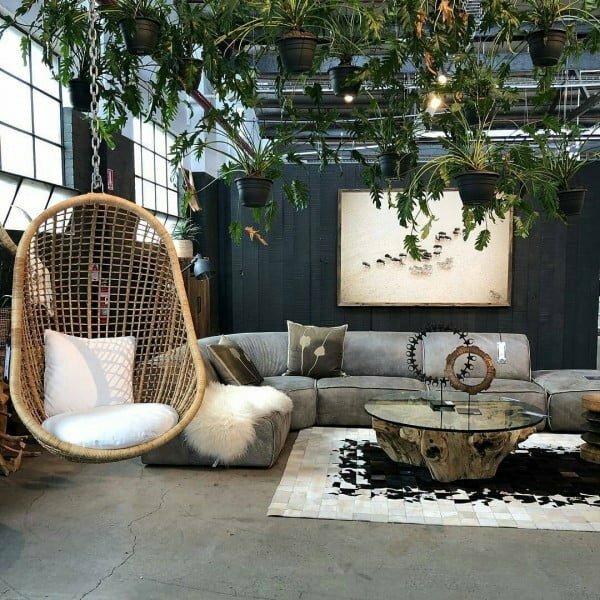 This gives the room an industrial style feel to it, but at the same time, the balance is maintained by using wooden furniture of intricate design and beautiful rugs which keep the space warm visually. We can also see the emphasis on architectural features, such as crown molding which can be often found in traditional style designs. 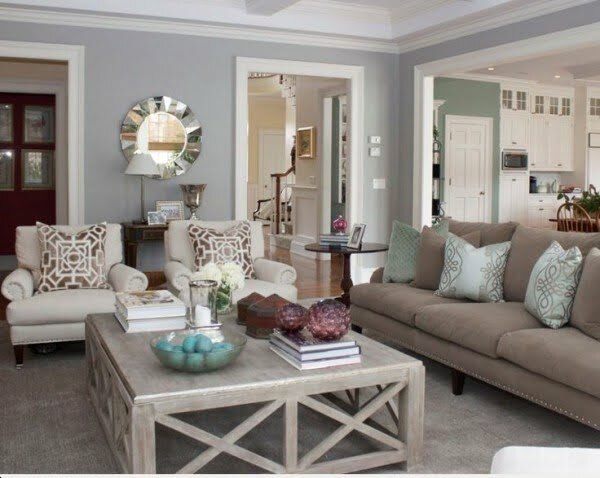 The focus is created by painting the molding in contrasting color. 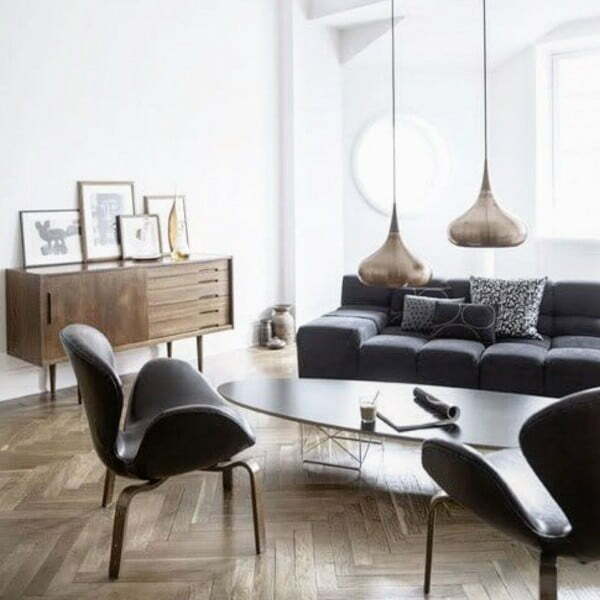 Modern minimalist decor style enjoys the soft greys, and we can find the trendy hardwood floor finish here too. Another gorgeous example of a traditional style design with a lot of pops of color in greenery. But grey isn’t the only color that can be used. 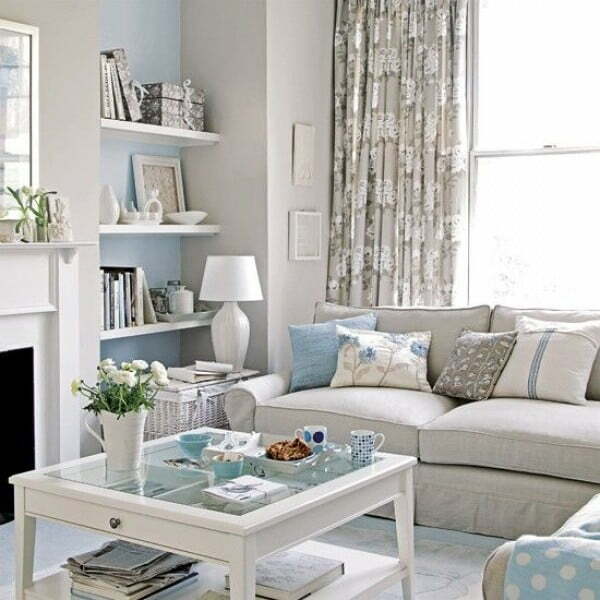 Here we see the soft blue is used as the accent color. 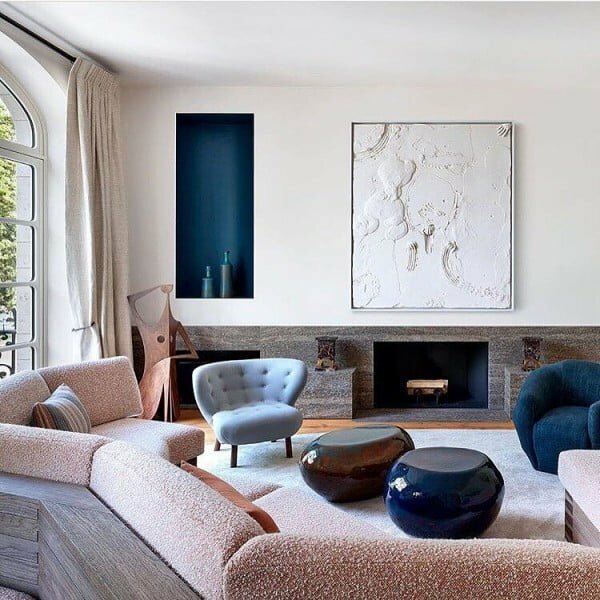 Adding accent colors in this subtle manner is what we know see a lot of in this year’s interior design trends. Patterns aren’t and exception as well, although we don’t see a lot of them in these designs. 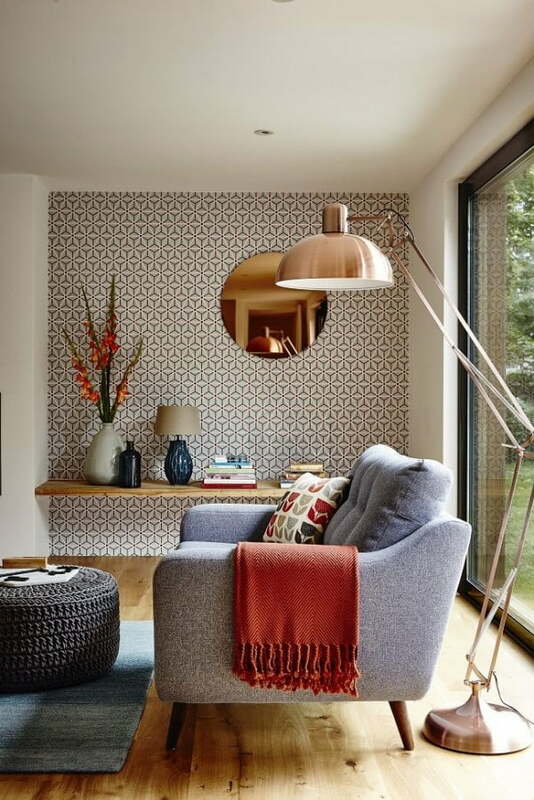 The accent wallpaper wall in this room goes together very well with metallic accents. Another common theme to pay attention to is the mix of different styles, especially classic and modern. 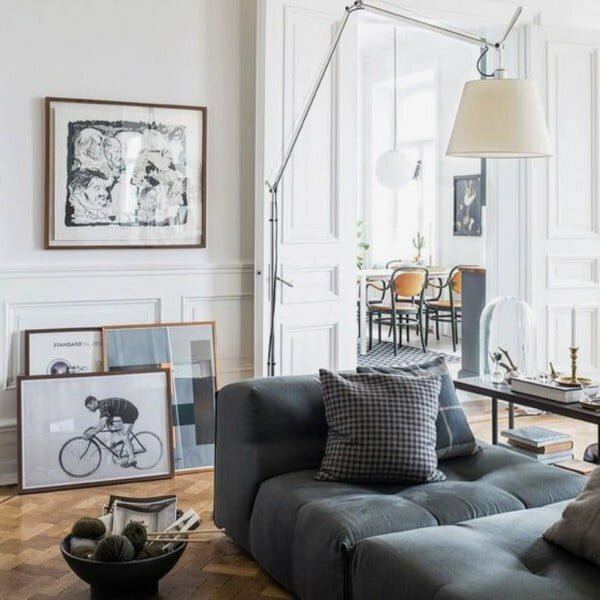 In this room, beautiful traditional crown molding is used as an architectural feature, but at the same time, we find modern furniture and minimalist wall decor. 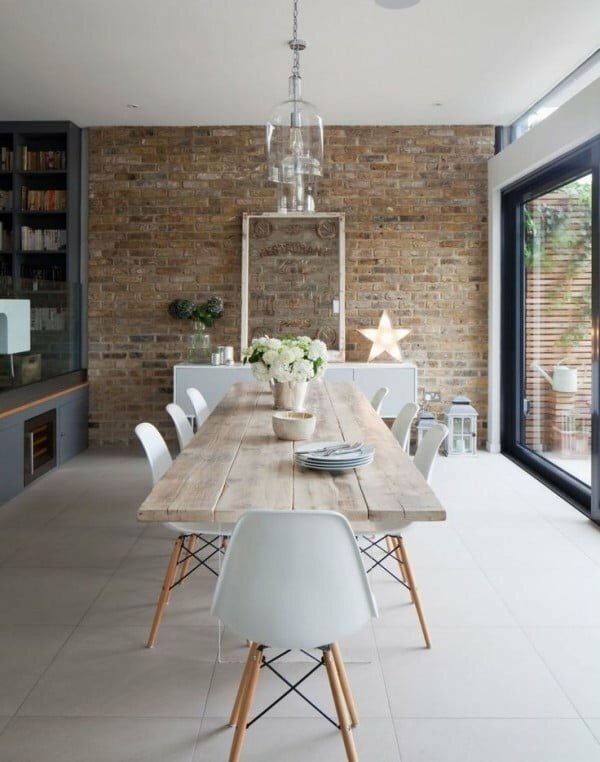 Another example of an accent brick wall feature that is paired with a rustic table for a hot and gorgeous room style. 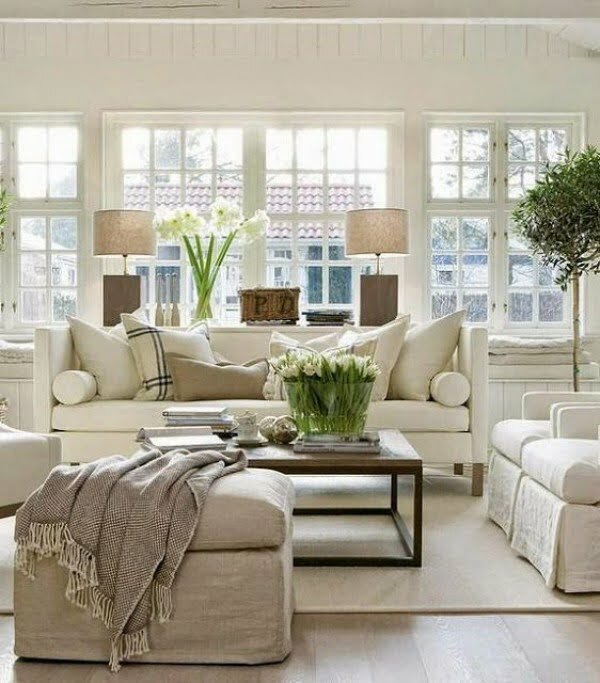 This stunningly beautiful room is a cover-worthy example of this years living room trends. 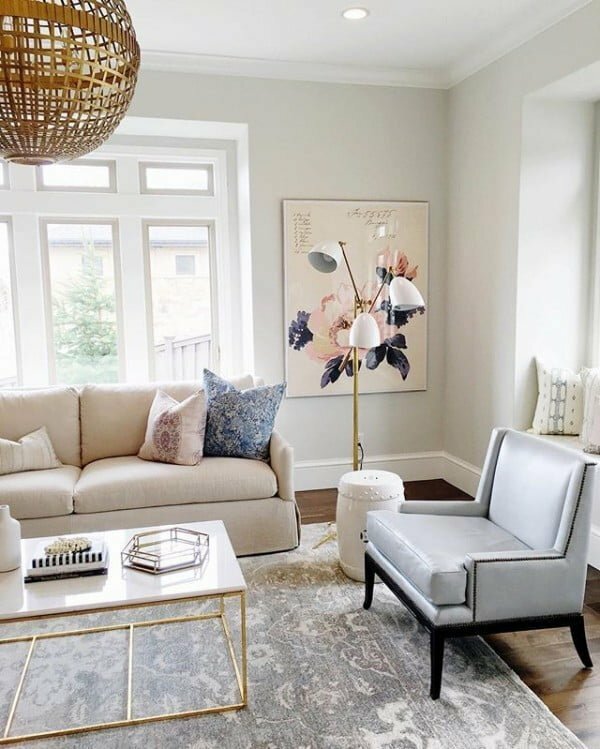 It has everything – washed out greys (including the floor), soft color pops, metallic accents, and a patterned rug to anchor it all. 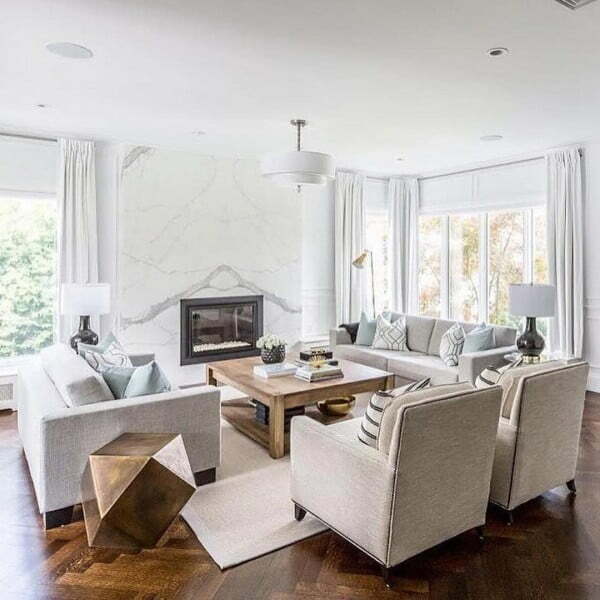 Another amazing living room where modern meets traditional with a well balanced warm color palette, a mix of textures, patterns, and materials. 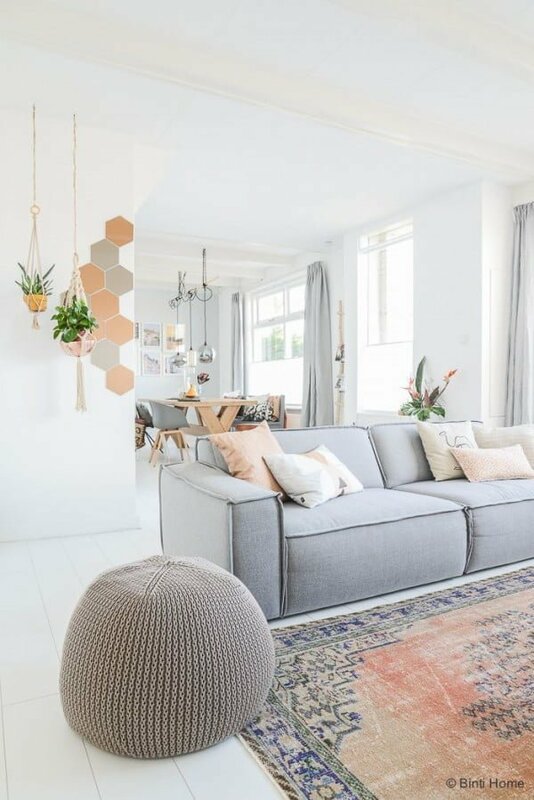 We can see that Scandinavian design has had a significant impact in recent times and this living room is a prime example with its minimalist style and the total embrace of the subdued grey palette. This room shows that the presence of color can be used at large but only when the neutral palette provides it the right background. Dominant whites and greys are perfect for that, and you can embrace the colors by accessorizing. Another excellent example of how different patterns, textures, and materials complement each other. Using rustic accents is a great way to add warmth to an otherwise cold decor dominated by whites. This minimalist room design shows the value of wood finish – it adds the necessary color and texture making the space visually interesting. 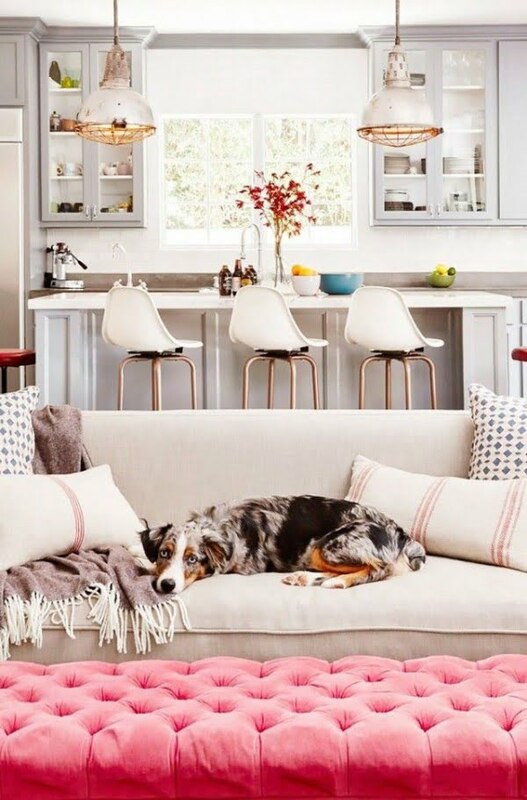 Patterns easily mix if they’re used together with soft colors – we can see floral, polka dot and geometric patterns being used in the same space and they complement each other well. 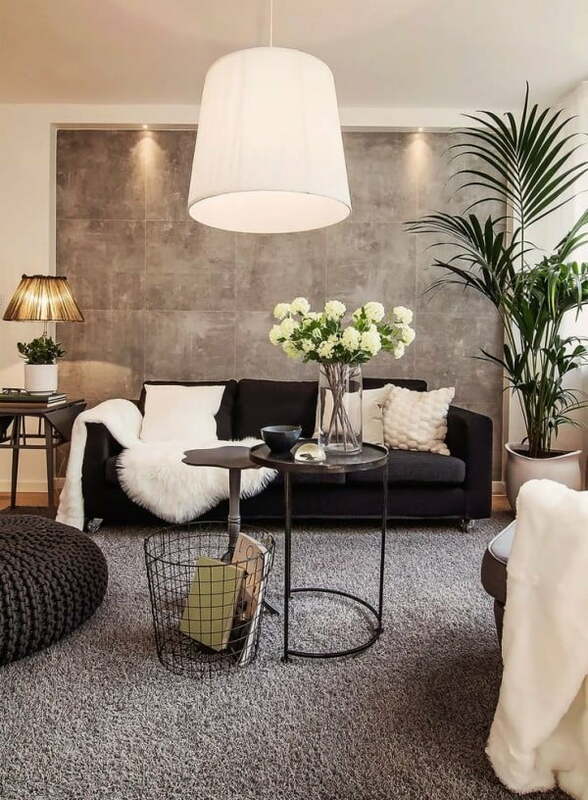 We can also see another decor feature – an accent wall in a soft hue. Another gorgeous traditional living room design that embraces patterns, and it works without being overwhelming because of the very soft color palette. 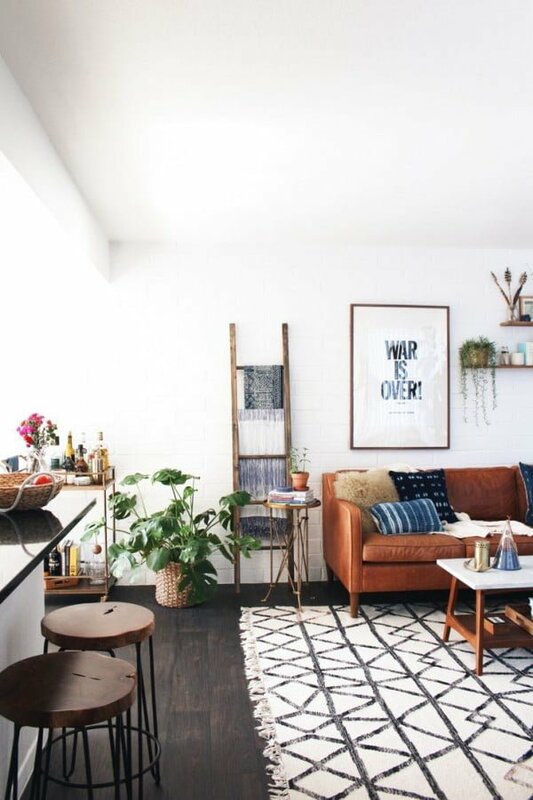 In this open plan room where the kitchen is connected to the living room, we find the marriage of two different approaches to adding decor interest. 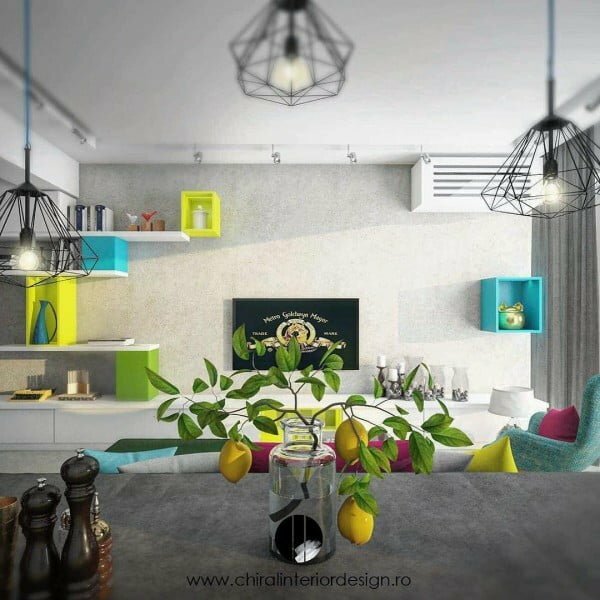 The kitchen decor uses a mix of different materials, while the living room area makes use of patterns and color – it creates a seamless connection between the two areas. 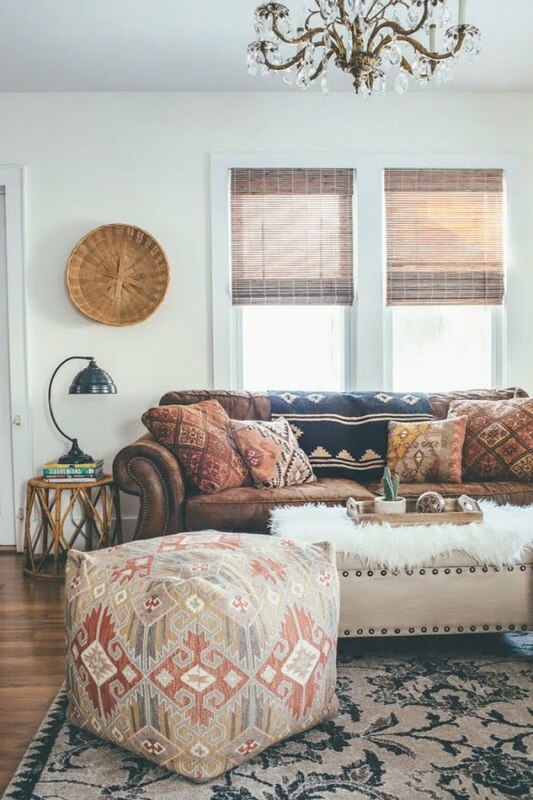 The bohemian decor is not an exception, and we can see the same trends being applied here – lots of patterns that are common in boho style but the colors are subdued at the same time. The shades of pink must have a separate mention as they find their decor style branch. 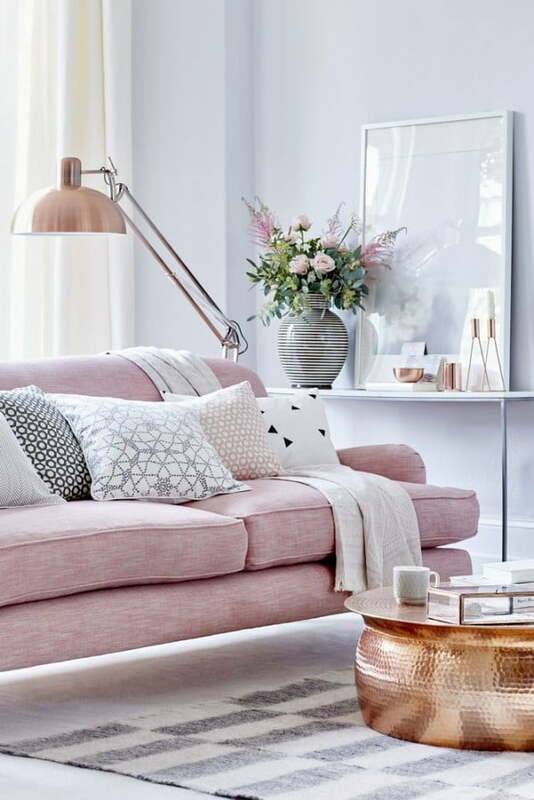 The combination of pink and brass or gilded accents is the latest trend. 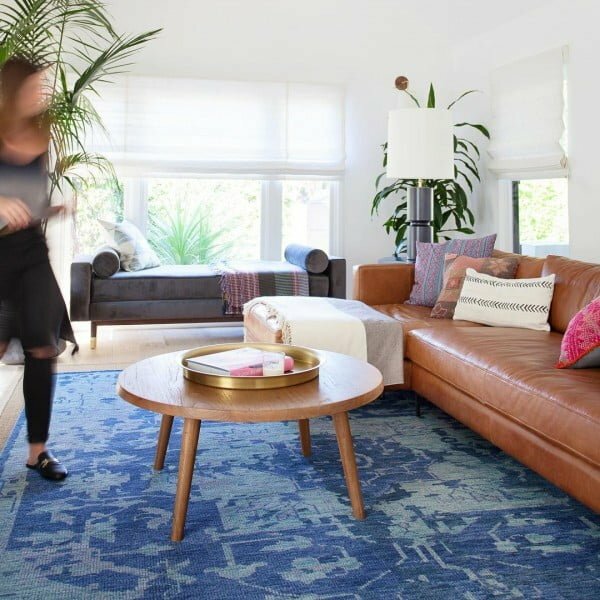 And finally, we’ll end the list with an emphasis on the colorful rugs that anchor the gorgeous trending living room designs. 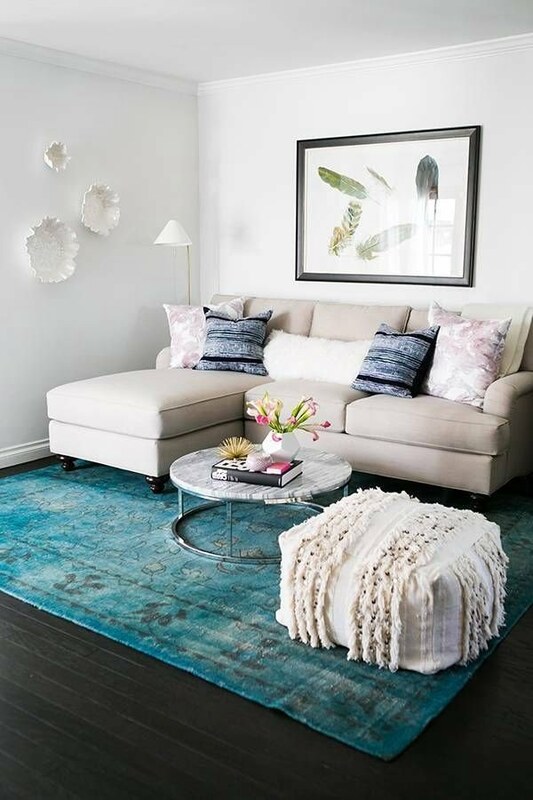 The trick is choosing a rug that combines the entire color palette of the room and anchors the space by allowing to spread the color via decor pieces and accessories.